4 Dead After Train-Car Collision In Fla.
An Amtrak train struck a car at a railroad crossing Monday, killing four people in the car, police said. There were no injuries on the train, authorities said. The car drove around the crossing gate, witnesses said. 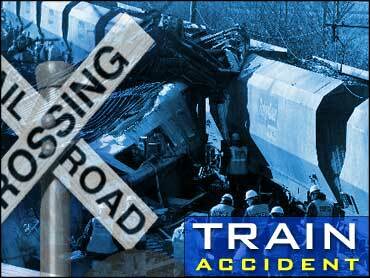 The impact threw the car into the air, and the train came to a halt about 300 yards down the track, they said. "The car is totally demolished," Lakeland police spokesman Jack Gillen said. The Silver Star was traveling from Miami to New York with 161 passengers aboard, Amtrak spokeswoman Tracy Connell said. The train had stopped in Tampa before the accident.